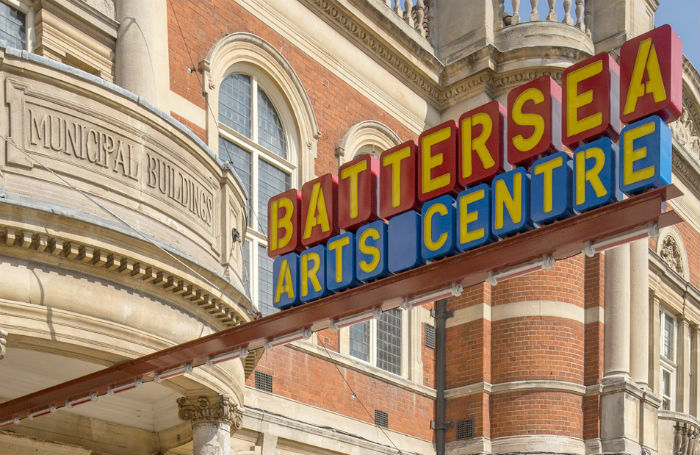 In June last year, I was selected to be one of three co-artistic directors on the Up Next programme at Battersea Arts Centre . Up Next is a ‘building takeover’ that aims to equip culturally diverse theatremakers with experience in running an organisation so they can compete on a level playing field for future leadership roles in theatres across the UK and beyond. The programme was conceived by Simeilia Hodge-Dallaway , founder and director of the group Artistic Directors of the Future and developed in collaboration with David Jubb , artistic director and chief executive of BAC, and Madani Younis , artistic director and chief executive of the Bush Theatre. Saad Eddine Said, Tarek Iskander and I have spent the last 16 months working with Jubb and the BAC team across the whole organisation, learning through doing, as part of senior management, programming, working across all projects, fundraising, presenting to the board and more. Tobi Kyeremateng and Ruthie Osterman have been doing the same thing with Younis and the team at the Bush Theatre. BAC operates using a practice model called Scratch, which involves sharing an idea publicly at an early stage of its development, getting feedback and using it to get the idea on to the next stage. We scratch everything. It might sound unfinished, but it actually gives an artist the freedom to creatively go for what they want to achieve, potentially fail, learn and go again – repeating this cycle until they get to where they need to be. One of our first tasks was to prepare a paper for the board outlining what we were going to do for our takeover season. We had no idea what that was going to be. As the deadline loomed we pivoted and decided to focus on why it was important for us to do anything in the first place; we scratched something different to our original brief. This did three things pretty quickly. Firstly, it made us really interrogate the diversity statistics and history of leadership figures across the UK. The results were grim across artistic directors, chief executives and chairs of boards, but worse still when dealing with figures relating to buildings as opposed to theatre companies. This is important because most of our publicly funded resources, and as such huge amounts of our collective cultural capital, reside in buildings. Secondly, it helped clarify our understanding of different leadership models and which models were more suited to each of us, allowing us to further tailor the Up Next programme to our strengths and interests. Thirdly, it helped us explore how theatres engage audiences and communities in their buildings and discover ways that engagement might manifest in our takeover seasons. It turned out not just to be a place-holder presentation, but the plan we have refined and developed and are about to deploy. I’m currently in rehearsals for a show I’ve been developing called Superblackman – a piece of mid-scale work that will be premiering next month. It is the first element of the Up Next cohorts’ three-part takeover, as well as part of the BAC’s Phoenix Season, celebrating the reopening of the Grand Hall. It explores how the stories we tell in popular culture reinforce negative stereotypes and unconscious bias, which in turn perpetuates institutional discrimination. It looks specifically at mental health services and the disproportionate number of black people detained under the Mental Health Act – one of the areas that will be explored by the government’s independent review of the act, which is due to produce a report this autumn. I’ll be passing on the baton to the Bush takeover in February and we return to BAC in spring 2019 for a festival of work made with and for young people. Art as activism is a powerful tool in our arsenal, although I don’t yet know how you measure its impact (since Superblackman was announced it’s been rumoured that Henry Cavill is hanging up his cape, and last week Kanye West said he was Superman, but I’m told this is probably coincidental). Irrespective, one thing I’ve felt palpably while working with my colleagues at BAC is that productions are only part of the job of our theatres if they truly want to serve their communities. Because some people simply are not that into theatre and they don’t need to be. It is not that deep. Case in point, on Friday and Saturday nights during the run there will be ‘Lates’ for people who don’t want to watch a show but might fancy a rave in the Grand Hall. We need to be more creative, do more stuff, co-create more, so people are empowered to do things they actually enjoy with us. You probably don’t have all the ideas, so make your teams and your leadership representative of all the people your building or organisation is meant to serve, even if it is only temporarily at first through the next scratch of Up Next. One of the final things I have been reflecting on a lot is that being an artistic director is not the same as being an artistic leader. There are many people of colour or members of underrepresented groups in our sector who are artistic leaders, who have served communities for decades in ways that some people with a fancy job title fail even to consider. I’m hopeful with some of the big appointments we have seen over the last 18 months. I’m also truly excited by the moves being made by people I admire through collectives and projects such as Blacktress , Open Door , Touretteshero , the Diversity School Initiative , #FDMD and Black Ticket Project. I look forward to reaching a critical mass where enough of these iconoclasts break through and the changes that everyone says they want to see in the sector, but don’t know how to achieve, can be pushed forward collectively. Let’s all seize the freedom to simply try things out, learn, and then try better.